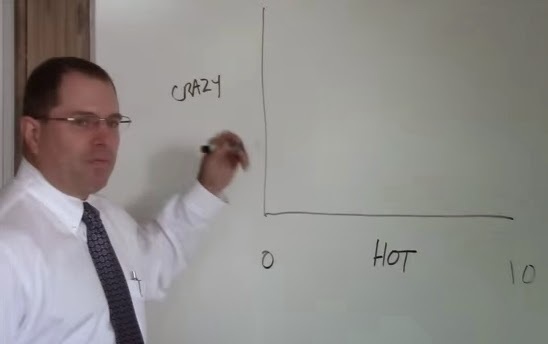 The universal hot crazy matrix is an amusing demonstration of the power of presenting numeric data in graphical form, extracting meaningful information from the data in order to lift the discussion off the page. We shall have to include it in our security metrics course. Non-PC sexist humour aside, the presenter's knowledge and passion for the subject are undeniable. Contrast that enthusiastic, lively presentation with the dull, ponderous, matter-of-fact way we normally present information security and other business metrics. 'Nuff said. For more, come on the course!